Phnom Penh (VNA) – The Military High Command of southern Tay Ninh province and the Military Sub-regions of Cambodia’s Svay Rieng, Tbong Khmun, Oddar Meancheay and Prey Vieng provinces held a conference in Svay Rieng on August 1 to discuss cooperation for the rest of 2017. Since the beginning of this year, the sides have coordinated in sharing information and solving seven cases of border security violations. 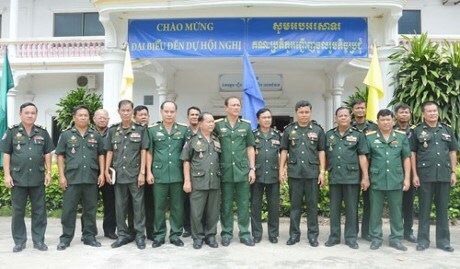 Together with cultural and sport exchange activities, Tay Ninh’s Military High Command provided 1.4 billion VND (61,600 USD) for the military sub-regions to improve infrastructure, while the Cambodian side helped search for and repatriate the remains of 674 Vietnamese soldiers who died in the country.